And I'd like you to meet a very special person in my life - my dad, Patrick. the best. the funniest. the most genuine, honest, hardworking and handsome guy. 10 years ago this August, he lost his battle to cancer. i was 20 years old. Ever year, the days leading up to August 13th have been a time for self-reflection with close friends and family on what I have gained, lost, and learned since my father lost his battle with liver cancer in 2003. Now, ten years later, I'd like do something a little different in commemoration of his death and turn his anniversary into a way of giving back to others. Anyone who knew my father remembers his youthful spirit and his devotion to his family. As he left us before getting the chance to meet his grandchildren, I have chosen to remember him by making a difference in the lives of children who are fighting cancer. On August 10th, at Diefenbaker Park, I am collaborating with Wigs for Kids, friends, family and local shops and businesses to organize a raffle during one of Tsawwassen's Outdoor movie nights. We are going to host the raffle at the Tsawwassen Movie Night on August 10th, featuring the Dr. Seuss classic, The Lorax. Click here for more information. Come see us at our booth so you can enter to win exciting prizes from our generous donors, such as a month of yoga at Shanti Yoga here in Tsawwassen (valued at $128) or a $25 Gift Certificate to Nikko Sushi. We also plan on giving out small tokens of gratitude to all those that make a donation at the event, ranging from button pins to illustrated prints based on donations. For any single individual who donates $200 or more, I will provide a professional, high-quality 15-minute Portrait Session. While the donation part is all taken care of there, there is one last part to this entire event and this is where you come in: I am going to cut off my long, silky hair and donate it to Wigs for Kids to make a wig! On a last note, I'd like to share with you a few of the last posts from my blog leading up to my father's 10th anniversary. Kids Vancouver.com is giving away movie tickets to see the movie TURBO! 5 lucky winners will be chosen, each winner will receive 4 tickets each! From the makers of Madagascar and Kung Fu Panda, TURBO is a high-velocity 3D comedy about an underdog snail whose dreams kick into overdrive when he miraculously attains the power of super-speed. But after making fast friends with a crew of streetwise, tricked-out es-car-goes, Turbo learns that no one succeeds on their own. So he puts his heart and shell on the line to help his pals achieve their dreams, before Turbo-charging his own impossible dream: winning the Indy 500. TURBO stars Ryan Reynolds, Paul Giamatti, Michael Pena, Luis Guzman, Bill Hader, Richard Jenkins, Maya Rudolph, Snoop Dogg and Samuel L. Jackson. 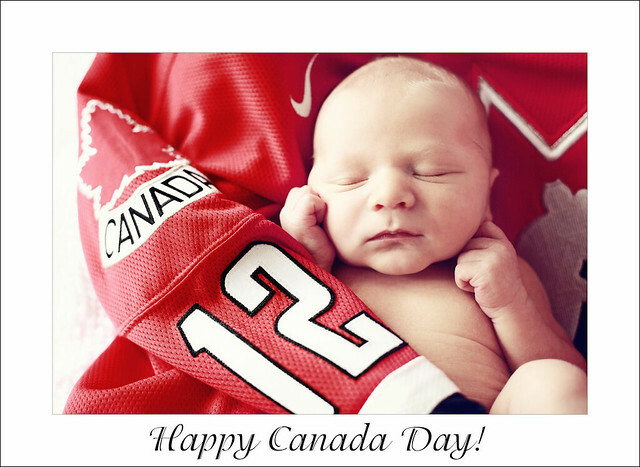 Hockey Day on Canada Day! Golden Spike Days Festival at Rocky Point Park! Sunrise Soya Foods is thrilled to launch their School Donation Program, providing free Super Squeezies Omega-3 DHA Pudding Tubes for student events and programs with a dedication to healthy lifestyle choices. Super Squeezies contain Omega-3 DHA , important for brain, eye and heart health & are cholesterol-free & contain no artificial color, flavor or preservatives. Also they are a great snack options for families challenged with gluten or lactose intolerance. A healthy snack option for kids going into the busy spring sports & soon summer camp season as well. Here are 9 winners for the rest of the prizes! The winners will be notified by email of their winnings. Amy N, you won a $50 gift voucher from Barefoot Books! Ricky S, you won a colorful felt story from Heartfelt Stories! Laurie Ashley, you won a coaching package from Ripple Effect Coaching! And our grand prize, a month of childcare from Kids and Company goes to Carolyn B! 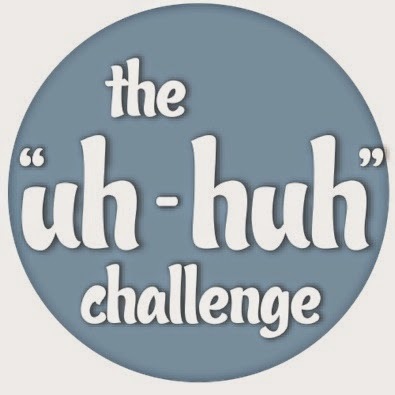 On International Children's Day (June 1, 2013), it marks the launch of a community project called The "Uh-Huh"Challenge. Would you say it is an automatic response mostly used to date? Kids Vancouver.com is giving away movie tickets to see the movie EPIC! 3 lucky winners will be chosen, each winner will receive 4 tickets each! All milk is not created equal. In particular, the industrial milk we see on the supermarket shelves today is not the same milk it was one hundred years ago. With many people experiencing allergies, stomach upset, skin reactions and more with today's milk, the big question seems to be, "Is milk even good for you?" My answer? "That depends...which milk are we talking about?" Traditional milk is from happy cows allowed to forage on grassy fields not from cows held in large industrial barns being fed GMO corn and soybean feed. Traditional milk is better for you as it contains more vitamins (not synthetic ones) and tastes delicious. Some forms of milk, like yogurt and kefir, are more easily digestible, even for those who think they may be lactose intolerant. And as for the cows, farmers who switch from industrial, confinement, grain based diet dairies to grassy pastures see their vet bills shrink. Why? Because cows that eat grain exclusively suffer from acidic stomachs that lead to ulcers. But that's a no brainer. The more complicated question revolves around the consumer health. Some critics believe cow milk is designed for baby calves, not humans, which is true, but this does not mean that the human system can not, or should not, handle and benefit from milk. 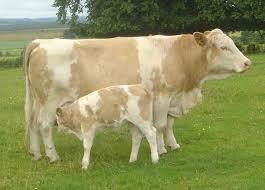 Like human breast milk, cows milk is nutritionally complete. It is made up of carbs, protein and fat and humans are equipped to digest all three. As a complete protein, milk contains all the essential amino acids in the proper amounts. The carbs in milk provide energy while the fats are a good balance of saturated and unsaturated fat. The fats in milk are essential as they allow the body to digest the protein and assimilate the calcium. And with a note to the importance of saturated fats, they are particularly easy to digest because bile from the liver is not required to emulsify them first unlike polyunsaturated fats, which the body needs to store. This means saturated fats are used rapidly by the body and burned for energy. And what about the good things in milk? Which method of processing do we see in today's dairy? Industrial and traditional food processing methods are definitely different. Traditionally fermented dairy foods such as cheese and yogurt have many nutritional and bacterial benefits. For example, the bacteria in traditionally cultured milks secrete antibacterial agents, enhance immunity, break down cholesterol and reduce carcinogens. But in industrially processed yogurts, the bacteria added doesn't do the same work. Industrially added bacteria are designed to grow in milk only and can not survive in the body. Also, industrialized yogurt may contain only three or four selected microbes while traditional yogurt may contain a dozen or more. Industrial processing diminishes flavour and nutrition while traditional processing enhances them. Also, most industrially produced yogurts contain "skim milk powder" which in itself is a whole other problem but I'll get to that. But what about cholesterol and heart disease? Cholesterol in milk and butter. It's bad, right? Wrong. We've been told over the past thirty years (since the vegetable oil companies evolved) that consuming cholesterol and saturated fats in milk and butter raises blood cholesterol levels and clogs arteries. With milk being rich in cholesterol and saturated fat, it might be considered an evil enemy and heart disease contributor but the history tells us otherwise. Many traditional diets include whole milk and butter without adverse effects. One tribe in particular, the Masai of Kenya, consume a diet that consists of mostly milk, blood and meat. A Masai man typically will drink a gallon of milk per day on top of the meat containing more saturated fat and cholesterol. And yet, the cholesterol levels of the Masai are approximately 50% less than the typical American. Then think about North America a hundred years or more ago. Recipe books typically included cream, eggs, and milk with 40% of the calories coming from fats, with slightly more saturated than unsaturated. Lard was used routinely. And this might all be unremarkable except for one thing. In 1900, when saturated fat was part of the routine American diet, heart disease was rare. Traditional fats were replaced by industrial fats. Vegetable oils and margarine were introduced. Traditional milk was replaced with industrial milk. Particularly, skim (non-fat) and low fat homogenized milk appeared. By 1950, heart disease was the leading cause of death. From 1910 to 1970, rates of butter consumption plummeted while the percentage of vegetable oils in the diet soared by 400%. I won't drink it and neither will my family. Why? First of all it tastes like unappetizing milky water. Second, we need the butterfat to digest protein and for the bones to utilize calcium and absorb vitamin D. Third, the cream (fat) contains the vital fat soluble vitamins D and A. Without the vitamin D, less than 10 percent of dietary calcium is absorbed. But industrial milk is fortified with vitamin D and A, you say? Yes, synthetic vitamin D and A is required by law but there is growing evidence that fat soluble synthetic vitamins can be toxic when consumed in large amounts. Finally, whole milk contains glycosphingolipids. These are fats that protect the body against gastrointestinal infection. And a final note: Children who drink skim milk have diarrhea three to five times higher than children that drink whole milk. (Source- Mary Enig, PhD). That I don't want to deal with. As researchers demonstrate every day, many other factors including sugar consumption, lack of B vitamins, consumption of too many vegetable oils, lack of exercise, smoking, etc. contribute to heart disease. So what about the research that suggests high cholesterol and milk consumption are related? Again, lets look at what type of milk is being consumed in these studies. Skim milk made with powdered milk. Dried milk powder is created through a process called spray-drying, which creates oxidized or damaged cholesterol. In 1991, researchers found that "oxidized low- density lipoprotein (LDL) is more atherogenic than native (unoxidized) LDL." In other words, oxidized LDL causes atherosclerosis (clogged arteries) not real whole milk. And where is milk powder found? Pretty much in every dairy food found in your everyday supermarket. Industrial yogurt, skim milk, cheese (low-fat and regular), cheese substitutes, baby formula, baked goods, cocoa mixes, candy bars, and more. As for milk itself, nonfat dried milk is added to industrial skim milk, 1 percent and 2 percent milk. In fact, skim milk may be entirely made up of skim milk powder mixed with water depending upon the quality (i.e. think cheap) of the milk produced. Homogenization is a process in which milk is pumped at high pressure through a fine mesh, reducing its fats to tiny particles. The two are then forcefully re blended in varying amounts (1%, 2%, homo) so that they never separate. Why do this? First off all, convenience. Milk and cream separate naturally with the cream rising to the top, so when customers would get their milk, homogenization allows everyone to get the same share of cream. The second reason, cosmetics. After pasteurization, dead white blood cells and bacteria form a sludge that sinks to the bottom of the milk. Homogenization spreads this unsightly mass throughout the milk to make it "disappear". Personally, I'd rather it sit at the bottom of our non-homogenized whole milk so I know where it is and can dispose of it. So is homogenization necessary? No. It breaks up the delicate fats, contributes to rancidity and can cause milk to sour more quickly. Almost there...what about raw milk? Raw milk has its fans. Many fans. It is more nutritious than pasteurized milk as pasteurization destroys folic acid, vitamins A, B6 and C. Pasteurization also inactivates the enzymes lipase (to digest fats), lactase (to digest lactose) and phosphatase (to absorb calcium) required to absorb the nutrients in milk. (Which is why some people who are lactose intolerant have no issues drinking raw milk.) Pasteurization creates oxidized cholesterol, alters milk proteins, and damages omega 3 fats. The heat used in pasteurization destroys or damages the lactic acid bacteria, the bacteria that aids in digestion and immunity. Raw milk also contains a cortisone like product that helps to combat arthritis, arteriosclerosis, and cataracts. Finally, raw butter contains myristoleic acid, which fights pancreatic cancer and arthritis. For years, especially during the 1920's and 1930's, raw milk diets were prescribed by doctors, citing raw milk as being rich in enzymes, vitamins and minerals. It is still believed that these factors contribute to the treatment of many ailments including poor digestion, arthritis, inflammation, rheumatism, asthma, bronchitis, skin conditions, high blood pressure, kidney disease, heart disease, and more. Some doctors today, like Dr. Thomas Cowan in San Fransisco, continue to use raw milk to treat eczema, diabetes and arthritis. Any food can be contaminated by pathogens but raw milk is no more susceptible than pasteurized milk or any other food for that matter. In fact, spinach and deli meats cause more illness per year due to listeria or e coli contamination than raw milk. 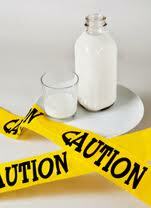 Ironically, nearly all outbreaks of food poisoning from milk and cheese in recent decades involved pasteurized milk. But whether or not you choose to consume raw milk might not be up to you. Currently, farmers are prohibited to sell raw milk in Canada (although there are individuals who get around the law by purchasing cow shares..wink, nudge). And in the U.S., 28 states do not allow the sale of raw milk. The debate is huge and both sides have valid points. If you want to learn more, there are many sites that offer their side. As for my family, although I believe the benefits of raw milk are huge, for ease of attainment, I am choosing pasteurized non-homogenized whole milk for now. An important note: Organic milk is second best to grass fed or pastured. Organic cows must have "access" to pasture but most spend very little time outside and are fed organic grain. So grass fed milk is best, even if it is not organic. So where can you get pasteurized non homogenized traditional milk that is rich in omega 3s, has more vitamin A, more beta-carotene and other cancer reducing antioxidants? Where can you buy butter and cream rich in the heart disease reducing, lean muscle building, weight reducing, cancer kicking CLA? Or yogurts that are free of skim milk powder and made with fresh, whole non-homogenized milk? My name is Cathy Piso and I run Kids Vancouver.com. I wrote a letter to give to my son's preschool to let them know more about Autism due to it being Autism Awareness Day. I also wanted to let them know a bit more about my son, and thought I should also share on here as well. Logan, my son, was diagnosed in December of 2012 with Autism. We realized about 2 and half years old his speech was not increasing. He was sick many times with ear infections and sore throats from age 6 months until 2 and half years, so we assumed that he was behind due to all his sickness. All his other milestones were normal until then. When I asked my friends they told me, "don't worry Cathy, he is a boy, boys are late with talking!" When preschool came I really noticed how far he was behind and when I saw how he was at school he seemed so different. We questioned, could it be Autism? But when we looked it up, Logan didn't seem to have all the "symptoms". CONTEST CLOSED! JEN BRITO OF PORT COQUITLAM has won the prize, congrats to her and her family! BUILD. PLAY. WIN. Vancouver Lego Games on April 28, 2013! WIN 4 Spectator Tickets and one Competitor Entry if you want to compete as well! Also the winner will receive a lego set! Introducing the Vancouver Lego Games. Five students, from the University of British Columbia, decided to organize a charity LEGO building event to benefit the Canuck Place Children's Hospice as part of a class project. The Vancouver LEGO Games will bring together 300 participants (competitors and spectators) for Canada's largest charity LEGO building event. CONTEST ENDED, Makayla Singh of Vancouver won the contest! You can Win a Family Four Pack of tickets (value $100)! Kids will love the train ride into the park and then into the giant Roundhouse for all the activities including giant dinosaurs, digging for dinosaur bones, following dinosaur tracks and meeting Buddy the Dinosaur Mascot then a train ride back! Lots of fun for the whole family. (Under 1 yrs no charge if they sit on your lap.) Please arrive 30 Min before departure time. **Also bonus entries if you sign up for our future newsletter to win! Already signed up for the newsletter? Great, you have your bonus entry! This contest ends March 19, 2013 at 4pm.